(888) 465-9728 | Medicare Supplement Insurance Plans offer excellent medical coverage. But, chances are if you’ve had your plan for a few years your rates have gone and you may not be aware that lower rates are available. Medicare Supplement Plans are standardized plans that supplement your original Medicare benefits. These plans are offered by many different insurance companies, but no matter what insurance company go have your Plan with, the benefits are always exactly the same, by letter. 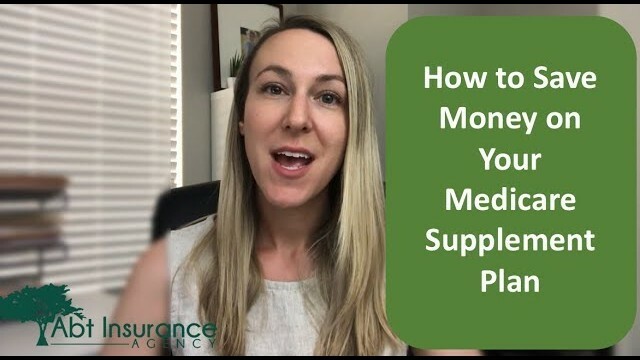 So a Plan F with one company is exactly the same as a Plan F with any other carrier – but, just like it shows in your Medicare and You Guidebook, different insurance companies can charge different prices for that same exact Plan. The secret that most seniors don’t know, is that you can actually change your Medicare Supplement Plan at ANY time during the year. So, if you’ve gotten a rate increase on your Medigap Plan, you can shop around for other prices at any time. There is no set enrollment period. Every fall, there is the annual election period (Oct. 15- Dec. 7th) but that period has nothing to do with your Medicare Supplement Plan. The annual election period is for your Medicare Part D or Medicare Advantage Plan changes. If you find another company that offers your same Medigap plan for less, you can change at any time – pending medical underwriting. You see, when you are outside of your initial Medicare Supplement Open Enrollment Period, every insurance company has a set list of health questions that they will ask you to determine if you are eligible for coverage. The questions can vary from one insurance company to another, but generally you’ll be asked if you have any upcoming surgeries or tests, if you’ve recently had a heart attack, stroke, or cancer diagnosis – things like that. As long as you can answer “no” to their questions, you should be able to qualify to save money on your Medicare Supplement Plan. Nothing makes me happier than to help seniors save money while they keep their same great Medicare Supplement Plan. Some folks believe it’s almost too good to be true, until they see the savings. As an independent broker, I work with over 30 different insurance companies, so I’m always on top of the best rates for Medicare Supplement Plans, and I serve clients nationwide. If you’d ever like a free no obligation quote please give me a call. Thanks for watching! This entry was posted in medicare supplement and tagged changing medicare supplement plans, Medicare Supplement, medicare supplement explained, Medicare Supplement Plan G, Medicare Supplement Plan N, medicare supplement plans, Medicare Supplements 2018, Texas Medicare Supplement. Bookmark the permalink. If you have any questions about changing your Medigap plan, please comment below!